They are dietary supplements designed specifically for the purpose of building muscle, aiding weight loss or weight gain, or enhancing performance. They are popular among professional athletes and weightlifters. These supplements consist of a cocktail of nutrients, which when broken down, benefit specific areas of the body. These nutrients may include vitamins, proteins, certain special types of amino acids, and essential fatty acids; to name a few. Amino acids are the so called building blocks of protein and are beneficial for various biological processes. Different types of bodybuilding supplements come with different methods of use. When they are purchased, it is essential to understand the terms of usage. 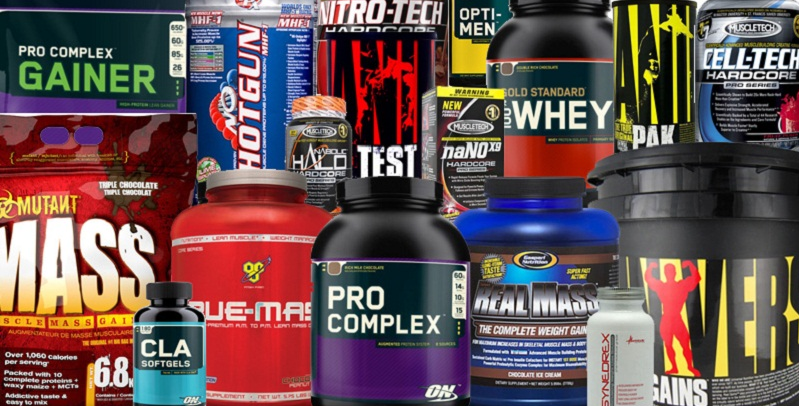 Be sure to do your homework before you go shopping for bodybuilding supplements. Believe it or not, bodybuilding and/or dietary supplements are as old as ancient Greece itself. Athletes and strongmen (men who frequently took part in exhibiting feats of strength) were advised to consume several herbal cocktails and tonics, including heavy doses of meat and wine. These were said to induce strength and stamina, bringing about a boost in physical prowess and vigor. In the early 1900s, diet control and supplements were brought into the mainstream by Eugen Sandow, who was widely considered as one of the pioneers of modern bodybuilding in the West. By the 1950s, bodybuilding gained popularity, not just on the competitive and professional fields, but also in the form of recreation. Irvin P. Johnson took advantage of this change in scene and began marketing egg based protein powders, the target audience included athletes and bodybuilders alike. Yet, this was just the beginning, the proverbial tip of the iceberg – the market for supplements boomed between the ‘70s and ‘80s. The October of 1994 brought about the signing of the Dietary Supplement Health and Education Act, DSHEA for short. DSHEA states that a supplement manufacturer alone is responsible for determining that the dietary supplements it manufactures or distributes are safe. As a result, supplements needed no prior approval from the Food and Drug Administration (FDA) to be openly marketed. This cemented the growth and sustenance of the profitable sale of dietary supplements, essentially opening up the industry. Ever since the first commercial packaging, marketing, and distribution of these products, a lot of noise has surrounded the subject of dietary and/or bodybuilding supplements. These seem to have spawned from misconceived facts which ultimately take the form of unconfirmed rumors. Let’s take a look at a few of these myths, and see if we can set the record straight. If taken in the prescribed quantities, it is far from dangerous. They are merely meant to boost and accelerate muscular development, therefore helping an individual bulk within a given span of time. In fact, it isn’t any more dangerous that consuming too much sugar or oil. As for it being illegal, you won’t have to scroll too far up to clarify that bit. Look out for the initials DSHEA. This is nowhere near the truth. It would require a flowchart to illustrate the ignorance of said statement. Supplements are a bonus, they add value to an existing diet or workout regime. It would be nothing short of a miracle if someone had the ability to bulk up by just watching TV and eating powdered protein all day. Bodybuilding supplements are in no way a replacement for strenuous, calorie burning, physical activity. They are designed to pump you up with energy that you can use for burning fat, they do not burn fat for you. It is not a gym in a tub. This is a generic statement born of exaggeration. Letting it hang in the financial balance isn’t always the way to go. If it were down to price tags and value for money, half the things we own wouldn’t be worth the money we paid for them. Consumers must understand that when it comes to health related paraphernalia, cost should be the least of their worries. There are a myriad number of brands out there, battling it out for the top shelf. While they all offer what looks like the same supplement, it is up to you to decide what works for you. Don’t let the price tag be the judge. This is far from true, which is good news. The standards aren’t the same with every manufacturer. Some may choose to depend on lower quality of raw material so as to cut corners to justify a lower price margin. That being said, higher price need not always mean better quality. You might just be throwing your money around. The only way to be sure is to do your homework – the internet is always available to compare and contrast. Just as how each brand of supplement is different, so is its effect on an individual. It is simple logic – each of our bodies are unique in the way they work, and therefore each of our systems is wired differently. A supplement will not only have different effects on different persons, the time it takes for results to show will also differ. Variables such as diet restrictions, cultural background, and workout regimen also come into play. So, don’t blame your friend if something worked for them, but didn’t do wonders for you. Bodybuilding or dietary supplements are not meant to replace your meals. The word “supplement” is in itself defined as a thing added to something else in order to complete or enhance it. Supplements are taken at predefined times, or at regular intervals; such as before a workout, or right after wrapping up a session of reps. Indeed, a good, balanced diet is a good place to begin. But, contrary to popular belief, a balanced diet does not meet all the requirements of our body. Our body requires different levels of nutrition at different ages, depending on the stress and lifestyle we lead. There is no scientific proof or evidence to support the abovementioned claim. In fact, research has revealed that professional athletes – who are required to train extra hard to keep fighting fit and in pristine shape – require extra doses of protein. A vigorous workout wears down the muscles and creates wear and tear in the tissue. The additional proteins help rehabilitate and prevent rupturing, effectively nursing the tissue back to strength. Athletes who tend to eat just right, or what is socially accepted as normal amounts of protein end up losing muscle tissue. Ouch. Creatine and steroid are, by definition, two inherently different things. Creatine is a substance naturally found in vertebrates (which includes us humans). It supplies energy to all the cells within our bodies, especially the muscles. Steroids are external substances that need to be consumed. Therefore, they are not naturally produced by our systems. Moreover, steroids are primarily used as performance enhancers and prompt the body to pump up testosterone to unnatural and sometimes even dangerously high levels. Due to its popularity as a performance boosting dietary supplement, creatine has been put through extensive tests and studied under a microscope. Studies revealed it to be safe and non-toxic among individuals with normally functioning kidneys. Studies also revealed that athletes who included creatine as a supplement experienced fewer pangs of dehydration, and stayed above cramps, muscular injuries of any kind, cramps, and muscle tightness. That is not entirely true. Most popular fat burning supplements come with a barrage of nutrients that effectively stimulate metabolism, in turn assisting the body to burn more fat during weight training regimens. Again, fat burners aren’t called miracle supplements. They don’t literally burn fat. It does require that you stick to a regular diet and workout schedule. Dietary supplements, for the most part, do not comprise of synthetically manufactured ingredients. Most of the substances that make up the table of ingredients on the back of the box are naturally harvested, and can be found within in our bodies. Bodybuilding supplements and protein powders are built around the idea of repetitive and constant use over long periods of time. It would be rather counterproductive if they were to create side effects to users. Most of the food that we eat also contains these nutrients found in the supplements, so an impromptu balance occurs in our systems. As long as we keep the quantities in check and don’t go overboard, things shouldn’t take a turn for the worst. So, there you have it, folks! I hope it was fun both fun and informative getting to know just a little bit more about dietary supplements and how they work. These supplements, like everything else we invest into, need to be handled with care. While it is clear that they pack quite a punch and come loaded with benefits waiting to be reaped, it is not a one-size-fits-all solution. So, exercise caution, and it will all work out (pun intended). Dear sir/madam, thanks for all info given, my height is 176 cms, my weight is 82 kgs. would like bring around 75 to 76 kgs. my diet is 3 piece of dates, 7 almond, one apple, 2 white eggs,black coffee, and go for work out at 6 am. for 1 and half hour, I have 4day weight and two days cardio, I take BCAA while work out. and was taking Nitro tech after workout, but I could not afford I stopped having nitro tech. then I take some dry fruits. 4 white eggs, and green tea..in break fast. in lunch I tkae salad ( brocally, spinach, carrot, beet root, tomato) with 200 gms fish or chicken, tuesday and sataurday I am veg, so no fish or chicken , in that place I take sprouts. evening dinner some salad and fish or chicken 100 or 200gms. bteween 4 pm to 5 pm I take black coffee. in full day I try to take 3 to 4 liters waters. i take dinner before 8.30 pm. sleep at 10.30. I mostly try to avoid salt and sugar. Please suggest if you have something for me , I want my body in lean, my lower abs is most problem, working very hard to bring in. means in short i am interested for six pack abs. If you have some points please suggest. for abs i do crunches, leg raise, side bend with dumbell of 45 pound, twist, plunk,.